The wide nose pulls through flat spots, while the narrow tail has a quick pivot. Size this board the same as your normal shortboard, or slightly smaller. I vary the bottom contour, depending on the rider and the base width of the board. Vector F-EA or F4 standard 3-fins. 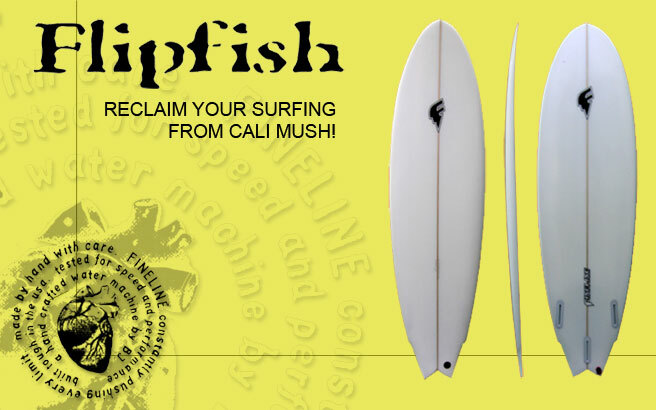 copyright © 2008 fineline surfboards llc.